You have arrived at frosting nirvana, a sumptuous balance of lightness and body without a hint of grittiness. 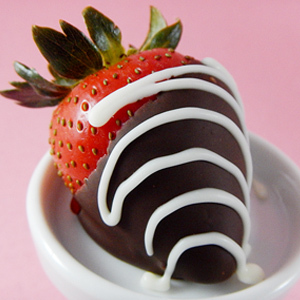 My goodness, I’m waxing poetic about a cake topping! I just can’t help it. Put simply, this is the best vanilla frosting ever. 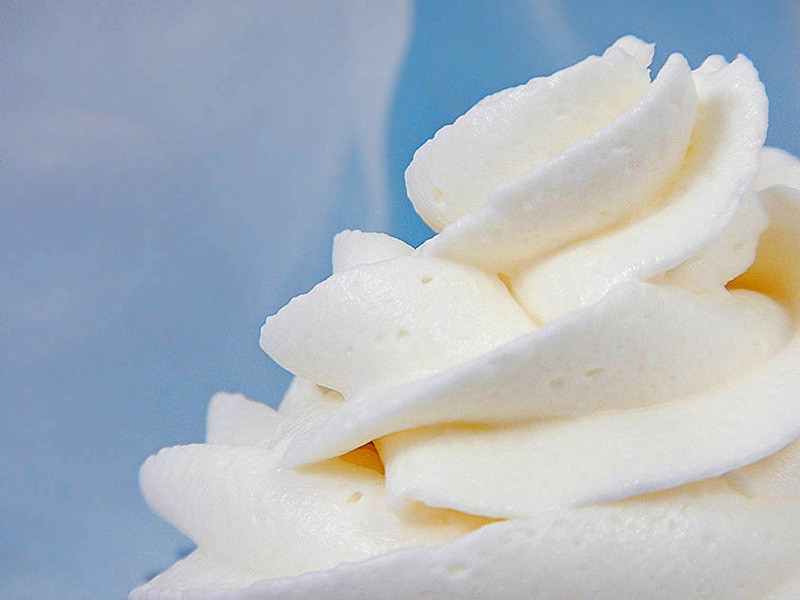 You need just four ingredients for this hybrid whipped cream-cream cheese frosting and you can whip it together in less than ten minutes. 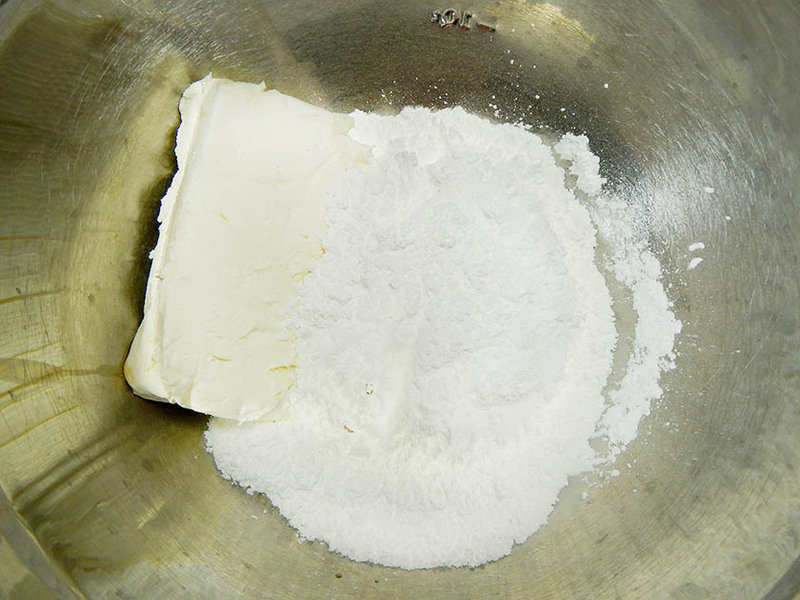 First, beat 8 ounces of softened cream cheese with two cups of powdered sugar and two teaspoons of vanilla extract. You could replace the extract with vanilla bean paste or vanilla bean seeds if you want to get fancy. 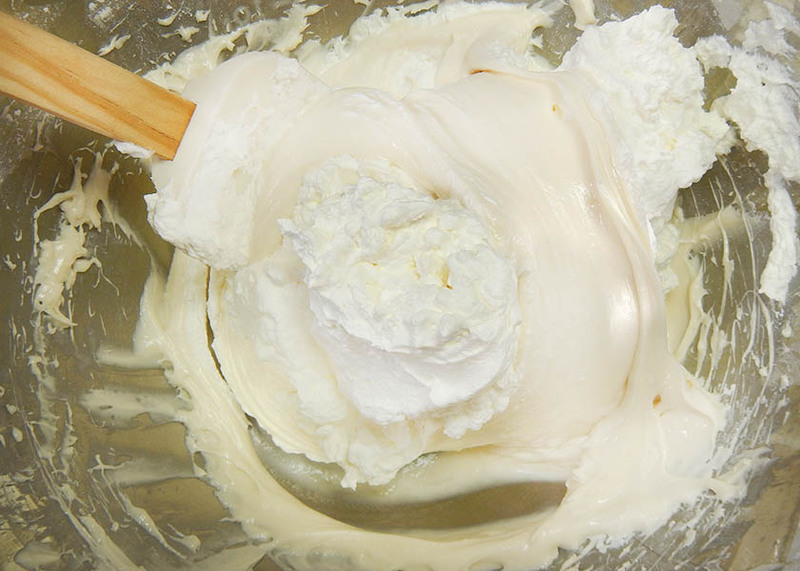 In a separate bowl with clean beaters, whip two cups of heavy cream until stiff. 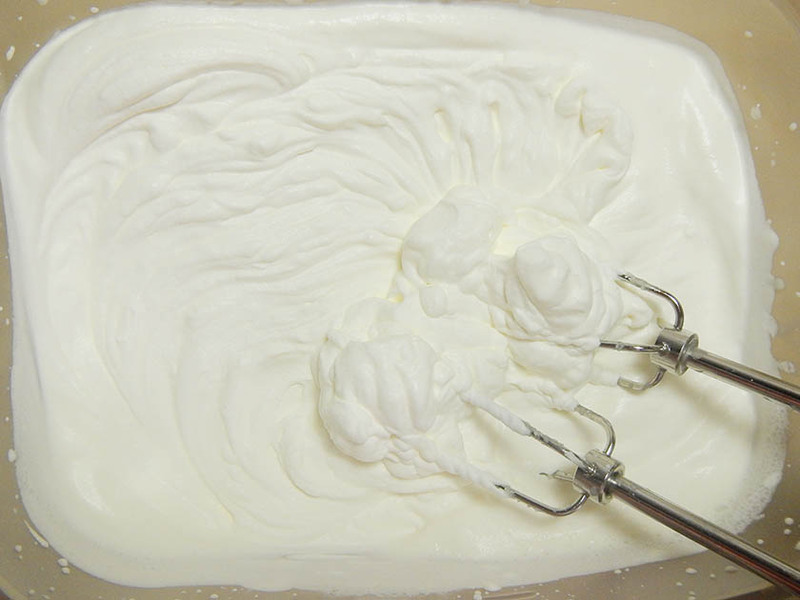 Gently fold the whipped cream into the cream cheese mixture. To fold, scrape a rubber spatula down the edge of the bowl, bring it across the bottom, then pull it gently back over the top. Do this repeatedly until you see no more streaks. It’s so important to be gentle because you want to keep as much air in the mixture as possible. That’s what gives it the cloud-like texture we’re looking for. 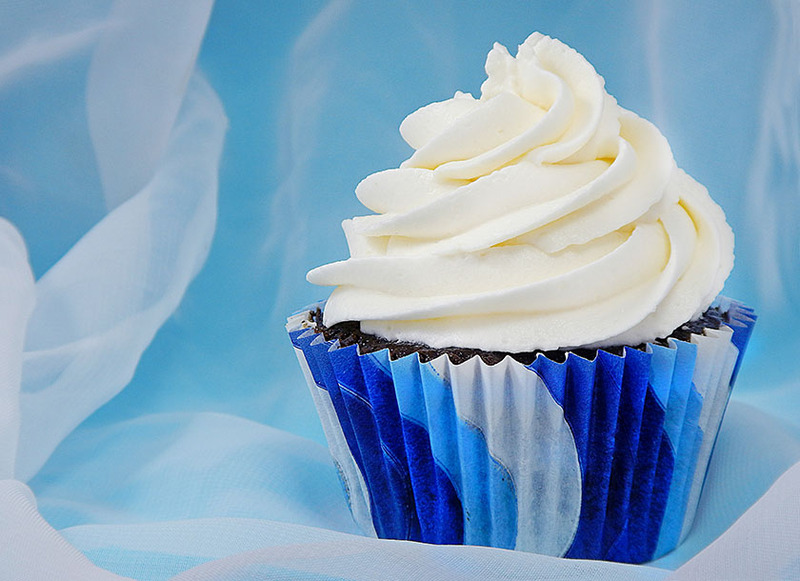 It takes just about ten minutes to make this velvety frosting. 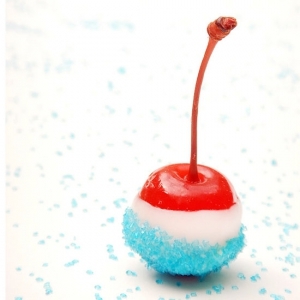 You can use it on cakes or cupcakes. It also makes a fantastic dip for fruit and sweet crackers. I used my favorite Wilton 1M tip to pipe this swirl. Really, it’s so good you could skip the cake all together. Just grab a spoon and go to town. This is a judgment-free zone. 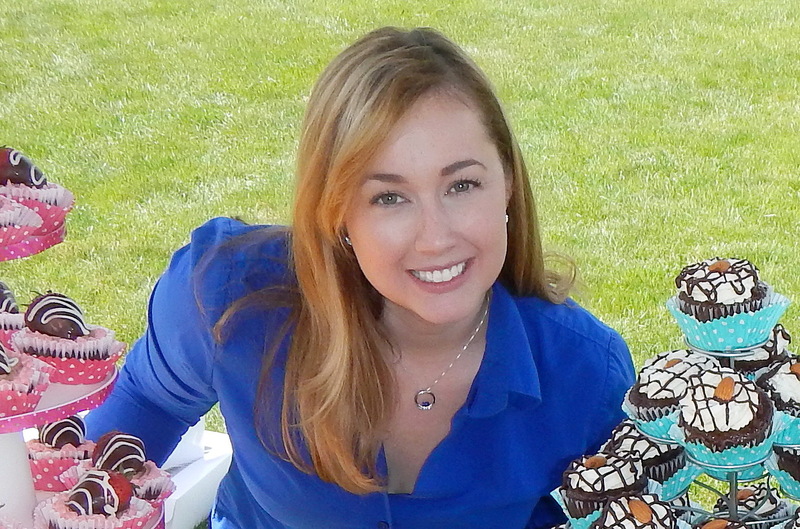 For more delicious dessert recipes and fun kitchen ideas, you can follow me on Facebook, Twitter, or Pinterest. You can also sign up for a free email recipe subscription. 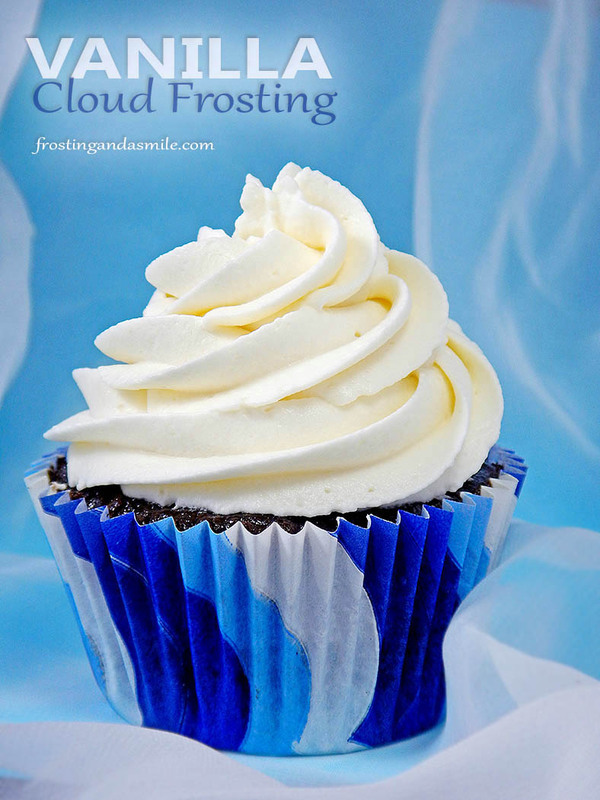 Light as a cloud vanilla whipped cream-cream cheese frosting. 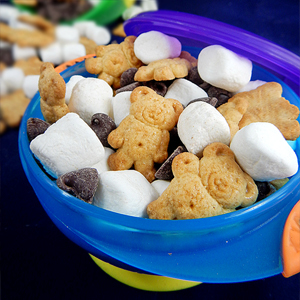 In large bowl, beat cream cheese, powdered sugar, and vanilla until thoroughly combined. In a separate large bowl, beat heavy whipping cream until stiff. 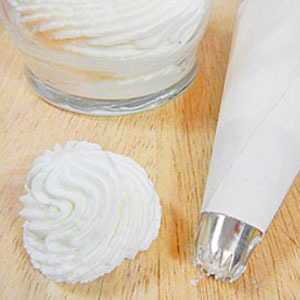 Gently fold whipped cream into cream cheese mixture until you see no more streaks. Serve. Store tightly covered in refrigerator for up to 24 hours. 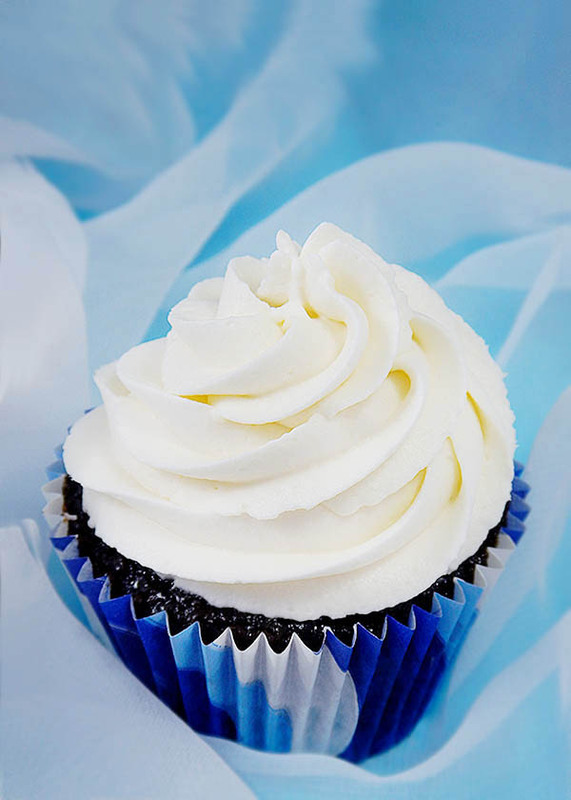 This is a soft frosting meant for covering cakes and topping cupcakes. It is not stiff enough to pipe flowers or intricate decorations. 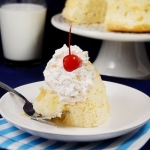 This recipe generously frosts 30 cupcakes or frosts and fills a 9 inch cake. 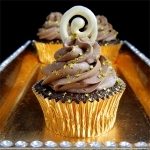 The frosting looks gorgeous on top of the moist chocolate cupcake. Great piping job. This frosting looks so good! I’m not a fan of butter cream frosting and have been looking for an alternative, that would still pipe well on top of my cupcakes. Does it hold up well when its not refrigerated for a few hours? Hi Heather! 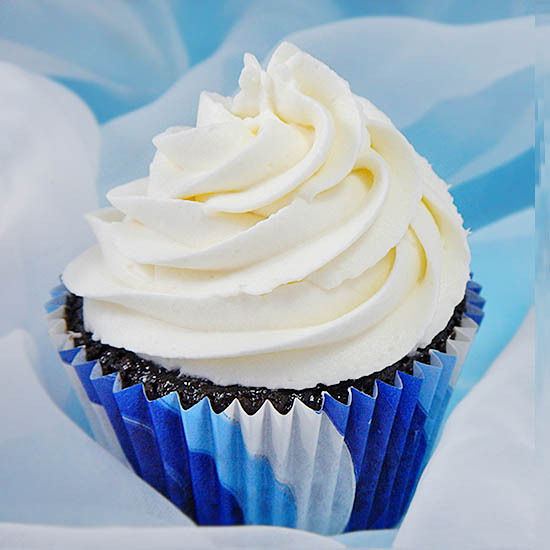 This is definitely a great alternative for people who don’t like buttercream. It pipes beautifully on cupcakes. It will hold up outside of the refrigerator for a few hours. However, I can’t recommend that you leave it out that long for food safety reasons. How long does it hold up in the fridge? Any melting off the cake? You can keep it refrigerated for up to two days. I have never had a problem with it melting. 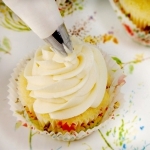 I am looking for a recipe that is very close to the Betty Crocker Whipped vanilla can frosting. Could you tell me if this recipe is tastes very close to that? Thanks! This is nothing like canned frosting. It’s so much better! I don’t have any recipes that taste like canned frosting. 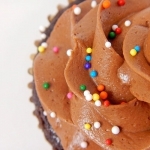 After you find a homemade frosting you like, I’m sure you won’t want to use that anymore!